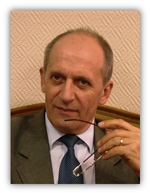 President of MAM - Banin Viktor Vasilyevich, Doctor of Medical Sciences, Professor, Corresponding Member of the Russian Academy of Medical Sciences, Head of the Department of Histology A.I. Yevdokimov Moscow State University of Medicine and Dentistry. 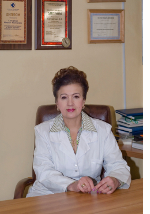 Scientific Secretary MAM - Slesarenko Natalia Anatolievna - Doctor of Biological Sciences, Professor, Head of the Department of Domestic Animals Anatomy of the Moscow state Academy of Veterinary Medicine and Biotechnology - MVA by K.I. Skryabin. 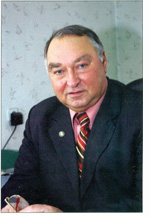 Honorary President of MAM - Bazhenov Dmitry Vasilyevich, Doctor of Medical Sciences, Professor, Corresponding Member of the Russian Academy of Medical Sciences, Head of the Department of Human Anatomy of the Tver State Medical Academy. November 21-22, 2018 at the Department of Human Anatomy of the First Moscow State Medical University. THEM. Sechenov (Sechenov University) hosted the International Youth Scientific Conference "Basic Research - Start in Medical Science", dedicated to the 260th anniversary of Sechenov University.